Windygoul Primary School are going to be running the Families Connect programme for 8 weeks from Friday 26th October. The programme enables parents to support learning at home. We are having a Coffee Morning on Friday 5th October from 9.00 until 9.30 and we hope that you will be able to come along and find out more about Families Connect. Look out for the leaflet that will be coming home next week. If you require any further information, please contact either Louise Innes (Principal Teacher) or Tina Mackinnon (Support for Learning Teacher) at school. This entry was posted in Uncategorized on September 28, 2018 by Miss Innes. What 3D objects can you build in the snow? How big can you make them? What features can you include? Upload a photo if you can so we can see what shapes you have managed to build! I hope you are enjoying the snow and keeping cosy (both inside and outside!). This entry was posted in P4, P4B Mrs Fraser on March 1, 2018 by Miss Innes. Here are some activities that you could complete at home today. Can you build a snowman that us is taller or shorter than you? Draw a picture of you and your snowman. Label who is taller/shorter. Write your name in the snow. You could use a stick, footprints or snowballs. Can you think of another way to make your name in the snow? Don’t forget today is World Book Day, share a story with someone special or make up your own story about a snowy day. We look forward to hearing all about your snowy adventures when we return to school. This entry was posted in Uncategorized on March 1, 2018 by Miss Innes. Morning everyone and happy World Book Day! I hope that you are all keeping safe and warm and that you are having lots of fun time in the snow! 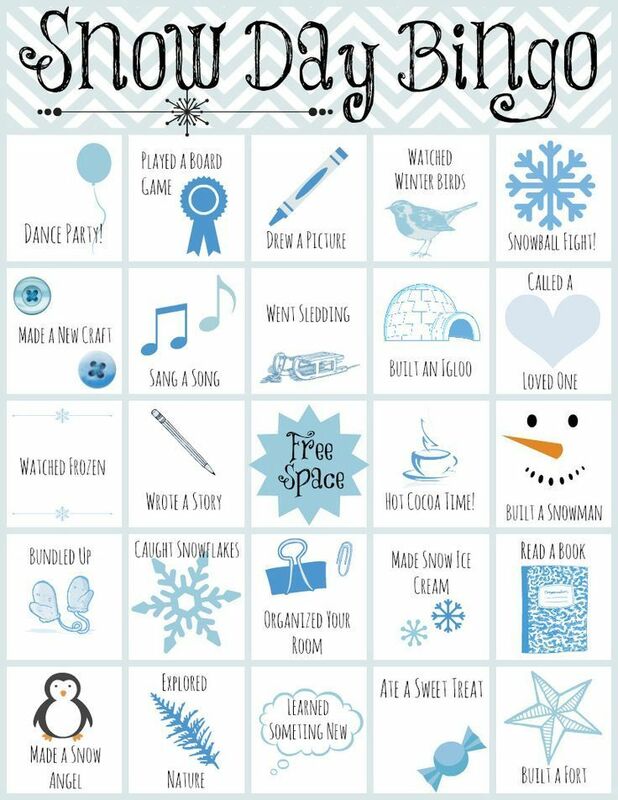 To keep you busy today, I would love you to choose 1 or 2 of these activities to complete! -Build a snow castle then take a picture and get an adult to send it to me on dojo or bring the picture in to school. -As it is World Book Day, share your favourite book with someone at home. After reading the book, draw a picture of your favourite character and write 3 exciting sentences about that character. -Write a poem about the snow! You could write a Haiku, an acrostic or a Winter is…poem! -Spend some time playing Hit the Button to practise your times tables. -Make some snowballs! Measure how far you can throw them! What is your furthest throw? Who in your family was able to throw the furthest? It would be awesome to see some of your pictures today on class dojo or you can bring your work to school with you when we return! Stay warm and I will see you soon! This entry was posted in Blogroll, P3, P3D Miss McKay, Pupil Zone, School News on March 1, 2018 by Miss Innes. I hope that you are all enjoying the snow and having lots of fun. Here are a few activities to do, bring the results with you when we are all back in together and we will have a show and share. Build a snowman and take measurements of him- height, width, nose length. Draw a picture of him and label the diagram with the measurements. Throw some snowballs. Measure the distance that they go. Record your results and bring them into class. Who threw the furthest snowball? Design and make a paper snowflake. Decorate it and we can display it in class. Create a snowy day picture to share with us. 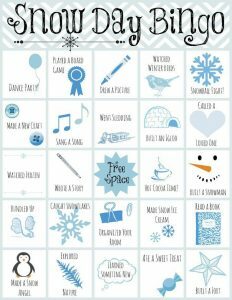 Write a snowy story – remember to use exciting adjectives. You can read it to the class. Fill a clear container with 50 cm of snow and let it melt. Is the statement “50cm of snow will make 2.5cm of water” true or false. Draw a picture of your experiment and write a short explanation of your results. This entry was posted in Primary 3C Mrs Morris on March 1, 2018 by Miss Innes. Miss Thomson and Mr Davis would like you to go outside and explore the snow. Draw a picture of you having fun in the snow and bring it in to share with the class when we all return to school. This entry was posted in P1, P1B Miss Thomson and Mr Davis on February 28, 2018 by Miss Innes. I hope that you are all managing to stay warm and cosy and have enjoyed spending time in the snow. Can you write a winter haiku? Remember to follow the pattern of a haiku having 3 lines and following the pattern of 5-7-5. Continue to work on Mathletics – can you achieve your Bronze, Silver or Gold award? Measure the depth of the snow each hour over a number of hours. How could you present the data? World Book Day – share a story with somebody in your family. There are also other activities on the website for you to have a go at. Remember to bring in the activities that you have completed or send in some photographs. This entry was posted in Literacy, P5, P5A Miss Innes on February 28, 2018 by Miss Innes. Mr Ferns would like everyone to get outside as much as possible. Remember to wrap up warm! This entry was posted in PE on February 28, 2018 by Miss Innes. How many of these activities can you complete before coming back to school? Have you managed to complete some of them already? Can you take a picture to show us what you have been doing? This entry was posted in Nursery, P1, P2, P3, P4, P5, P6 on February 28, 2018 by Miss Innes. Thank you to everyone who attended our Curriculum Evening last night. Please find below the PowerPoint that was used by Mrs Blair and Ms MacKenzie. This entry was posted in Events, Nursery, P1, P2, P3, P4, P5, P6, P7, Parent Zone, School News and tagged Curriculum Evening on September 28, 2017 by Miss Innes.